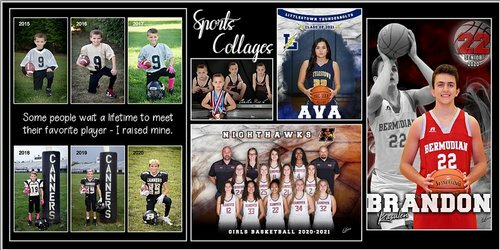 Demonstrate your favorite sport, talent, personality, and much more in a custom multi-image collage made by Leer Photography. Give a unique gift to someone you love! Just let us know that you are interested in one of our collages when you come for pictures so that we may take all the images needed to design something unique for you. We can design anything for you!